I recently read a biography by these two authors on Alvaro Del Portillo, and it was an incredible read. While researching my review on that book I discovered that the two on co authored 7 books, six of which are biographies of specific people. Unfortunately, all but the Alvara book and the one on Ngyuen are currently out of print. Yet with that being said this book is an excellent read and well worth spending the time to track down. "Pius XII was Pope at a very turbulent time in history (1939-1958), and widely admired and respected in his lifetime. Since 1963 attacks against him have increased, notably concerning the plight of the Jewish people in the second World War - each attach has been fully answered by those who have studied the facts. 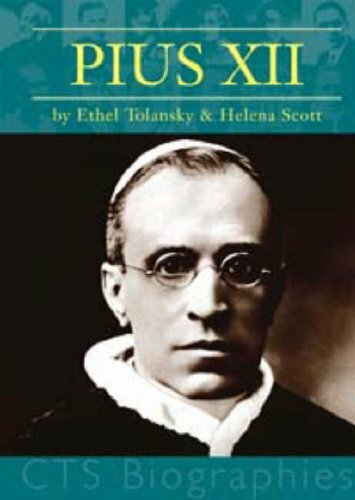 This biography, benefiting from the latest and best research, reveals the real Pope Pius XII, his goodness, holiness, courage, intelligence and concern for all, and while examining much of the often repeated arguments, looks far beyond them." 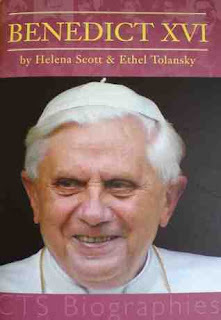 "On of the best ways of finding out about a Pope is to read what he wrote. Pius XII wrote an enormous amount, and in the nineteen years of his papacy he published forty-one encyclicals (some short, some very long) as well as composing a hugs number of other documents, giving sermons and speeches, sending messages, and writing letters. 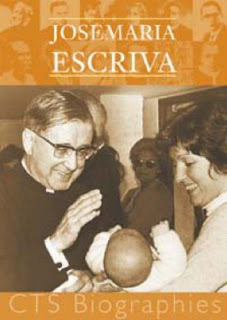 His encyclicals alone cover a wide range of subjects, and show his deep concern for souls, the way he followed the course of events at every level in different countries around the world, his great love for Our Lady, and the urgency of his prayer for peace. What stand our is his love for God and others, his faithfulness to God's will, and his courage in guiding the Church and defending all those most in need. 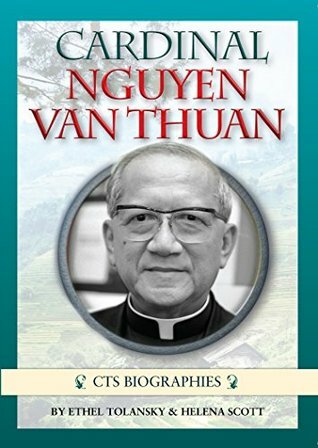 His writings show how he was fully aware of the dangers of the popular antireligious ideologies of the time, Fascism, Nazism and Communism, and was tireless in pointing out the truths which were taught by Jesus Christ, and the ways in which those truths applied to current problems and debates." Reading this book was incredibly eye opening. I have come across excerpts of works by Pius XII often in my religious studies degree. 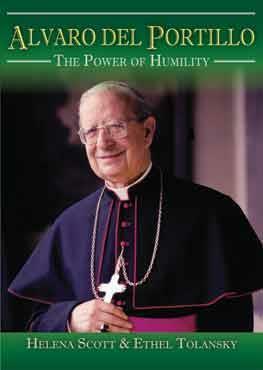 But this book has inspired me to dig deeper and start reading his encyclicals and other writings. I loved reading about how thoughtful this man was, and how he examined issues and questions from every side before speaking on them. I am also inspired by his lifelong devotion to Mary, a devotion that only seemed to deepen and grow as his responsibility increased. I was also intrigued by the fact that he had to leave seminary the first time because of health issues, and once he was recovered included a health regime as part of his daily disciplines throughout his life. While reading this book I could not help but think about some of the confusion and scandal in the church today. Pius XII was a man of learning, a man of prayer and a man of action. He was popular and appreciated during his life and shortly after by many, by Jews and Christians, and political from numerous countries. It is sad that his legacy has been so besmirched, and this book is one that will help counter that. 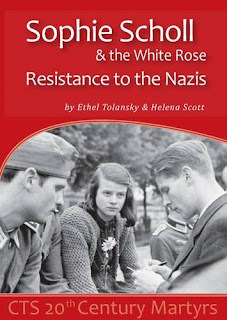 This is the second biography by Helena Scott and Ethel Tolansky that I have read, and I have tracked down three of the others that are out of print. 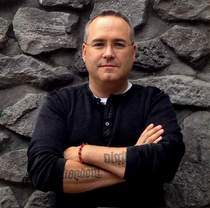 The writing style is very engaging, and the book incredibly informative. I look forward to reading other books by the authors and highly recommend this volume. It is an important book on an important Pope during a very difficult time in the church and the world. I have already read this book twice. I sincerely wish this book was still in print, so I could keep copies on hand to give away as gifts. Most of the physical books I read from CTS I pass on after reading them once or twice, this one I will be keeping in my personal library, because it is such an excellent read. Author profile and interview with Helena Scott.